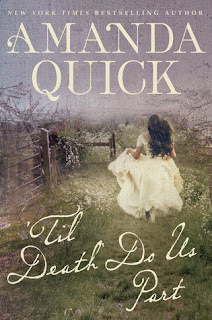 I think I said before that I used to read a lot of Amanda Quick's books (and also Krentz's books under that name). I quit a while back, but it would be fun to try some of these newer ones. Hmm if it makes its way into my bag at the library then that's okay too! I have read quite a few books under her AQ name but always prefer her JAK books first. I've had this author (and book I believe) on my TBR list for some time now. I think that I would really enjoy her so I'll have to grab this one from the library myself :) Great review! I hate TSTL moments! They are the worst. This book has also been on my TBR (what book hasn't, I seriously have a problem) and I do want to read it. 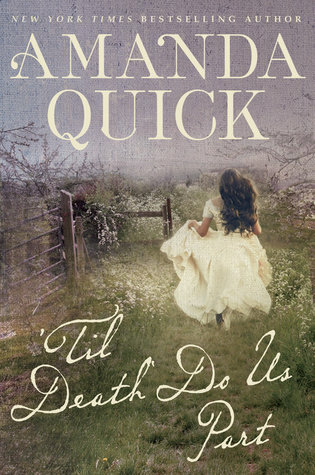 I've actually never read Quick before and I need to. Glad you enjoyed it, even though it took a bit to get into it. This sounds pretty good. I haven't read Krentz/Quick but I'd give one a try. I haven't read either Amanda Quick or Jayne Ann Krentz in awhile, but this sounds good. I always love books under both names. I just found your blog today and I really love the name of your blog! I think it's nice to have "believable" characters. Nothing wrong with a larger than life love story but I do like when characters are more real. Glad you enjoyed this one! I don't think I've ever tried a historcial-suspense novel before. This sounds really interesting - glad you enjoyed! I will have to try Amanda Quick again. I used to read her all the time when they had those book deals where you pick 7-8 for a penny. Good review, and I'm glad you enjoyed it! I did too, though that was a few years ago. I might be up for a reread at some point.